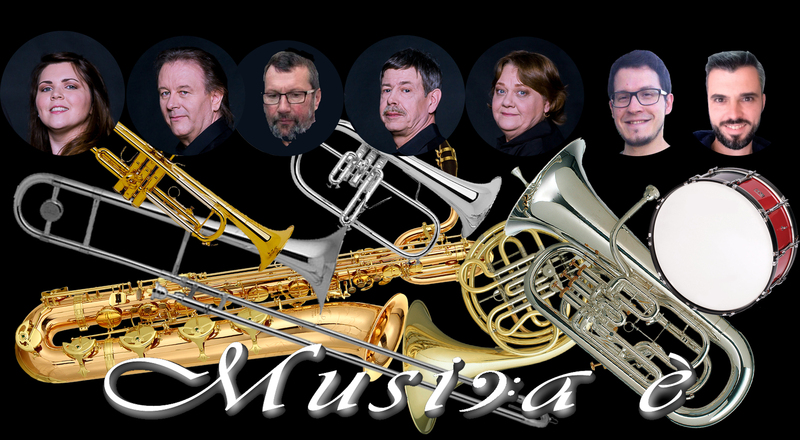 Founded on 28th January 2017, „Musica è“ is a septet. We are seven musicians not only united by our shared passion for music, but also by good friendship. Our repertoire features brass standards, classical works, marches, holiday favourites (especially Christmas songs), jazz, big band, broadway and film music as well as popular songs, partially based on own arrangements. Looking for a musical framing for a wedding, Christmas market, reception, mass, inauguration, academic session, award ceremony…? If you are interested in our musical activities, we invite you to support our project by becoming a member of our association (min. 5€), by sponsoring our internet site or by booking our ensemble for your musical entertainment.